Agretti, lemony crunchy wonderful vegetable, called Salsola Soda in english… If any of you know a more appetizing english name for this wonderful delicacy, please let me know and I will add it to this post. Fun facts: Agretti are filled with water and fibers making them both diuretic and slightly laxative… 😉 Rich in vitamin A, C and B complex as well as potassium, calcium, magnesium and iron. Because of the high level of chlorophyl Agretti are also purifying. With ultra low calories, carbs and fats, you can indulge as much as you want. So what are you waiting for? Find a market near you that sells them and start growing your own. Agretti are most often steamed for 5 minutes and served warm or cold with great extra virgin olive oil and lemon. But if you get tired of that, here is a delicious recipe for pasta. 1 bunch of agretti, tough bottom removed and washed well. 1 anchovy filet or 2″ of anchovy paste. Bring a large pot to a boil, add a handful of rock salt. Cook the agretti for 3 minutes. Remove but keep the water to cook the pasta in. Run under cold water to stop the cooking. Thinly slice the spring onion and sauté in olive oil with the anchovy filet until the onion is nice and soft. 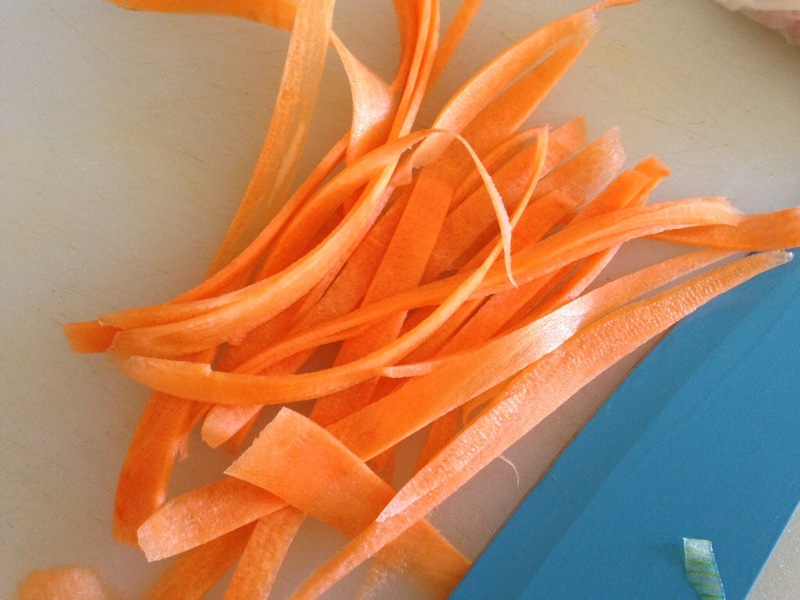 Using a vegetable peeler, slice the carrot in wide ribbons and then cut into thin strips. In a food processor or blender, blend half of the agretti with half of the onions and some cooking water and return to the sauté pan with the rest of the onions and whole agretti. Add a little cooking water. Toast the pinenuts in a non stick pan. 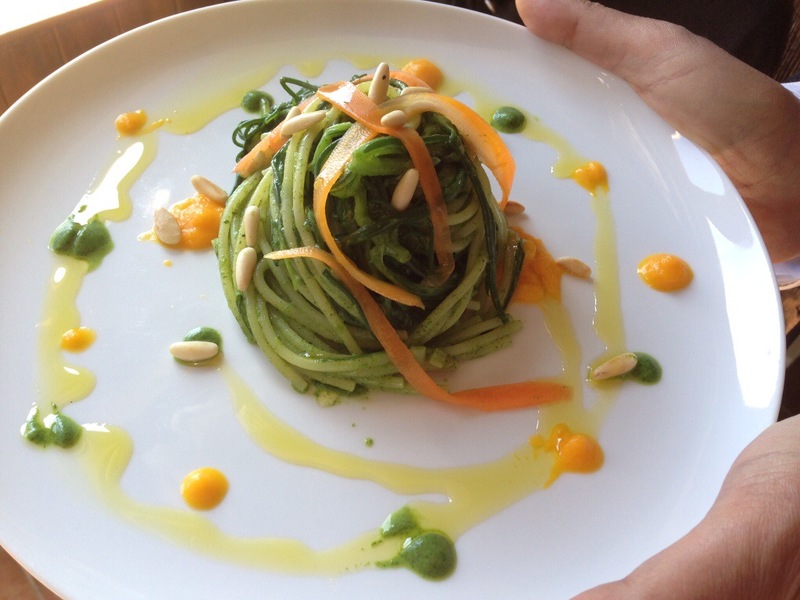 Cook the spaghetti in the agretti water. 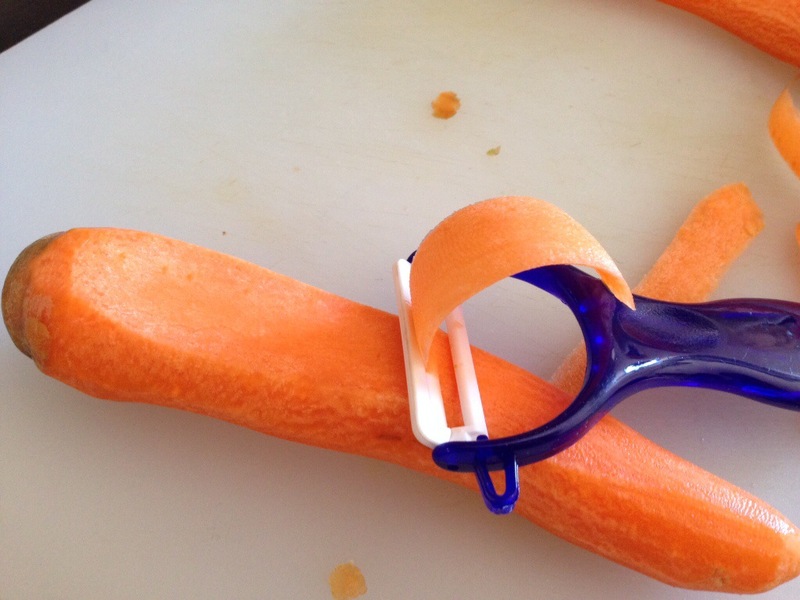 Halfway through the cooking time, add the carrot strips. Drain all together and add to your pan and toss well. Serve in a large bowl or on individual plate, drizzle with olive oil and sprinkle with the pinenuts.